But if you watch the background in this clip, you will see a shadowy object moving through the sliver of sky framed between the buildings. 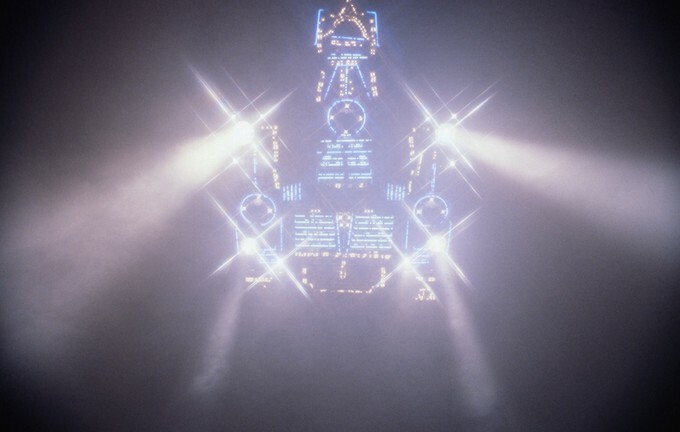 After seeing images of the Nostromo for 40 years, I noticed several familiar shapes as the shadow moved up the frame. It looks to me like the ship is either a commercial towing vehicle or something very much like one! Wherever High Lonesome Mining Colony is located, there’s apparently a busy spaceport close by. Decide for yourself, but for my money, I think director Brezonick’s choice here adds a very nice touch of detail to his film that firmly roots us in the Alien universe. 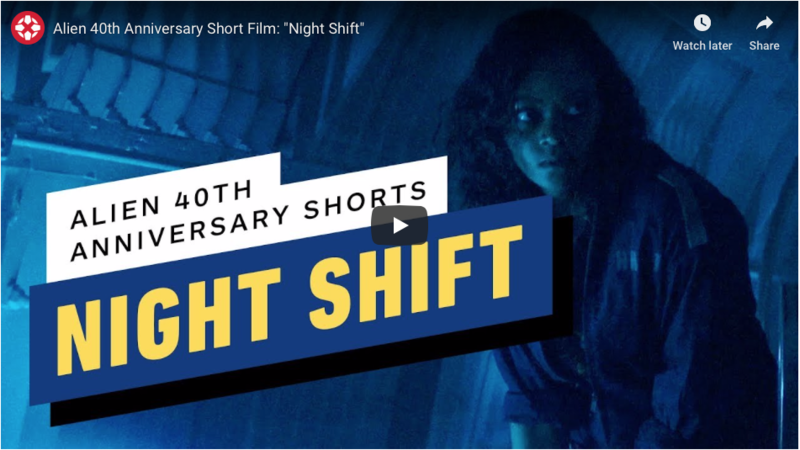 Watch Alien: Night Shift in its entirety. Find the rest of the Alien 40th Anniversary Short Films at IGN’s channel. Special thanks to IGN for permission to use the clip for purposes of illustrating Brezonick’s grasp of the Alien universe! Thanks to IGN for lifting the block on the clip I used to illustrate the Alien Universe magic the director used in his short film! Enjoy!